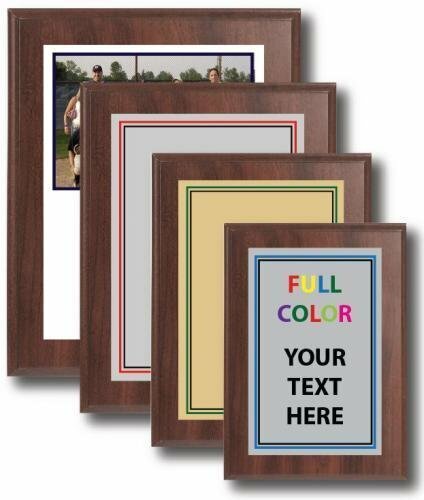 Economical plaques with full color plates. Perfect for any budget and any occasion. Black Finished Plaque with custom plate. Full color available. 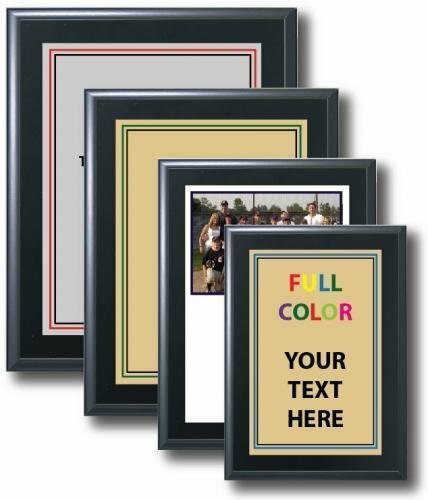 Gold, Silver or White plate. We do NOT guarantee exact color matches, however, a white plate will produce the closest possible match. Cherry Finished Plaque with custom plate. Full color available. Gold, Silver or White plate.